Last month we were thrilled to welcome four of our incredible supporters to aCorporate Support Day. 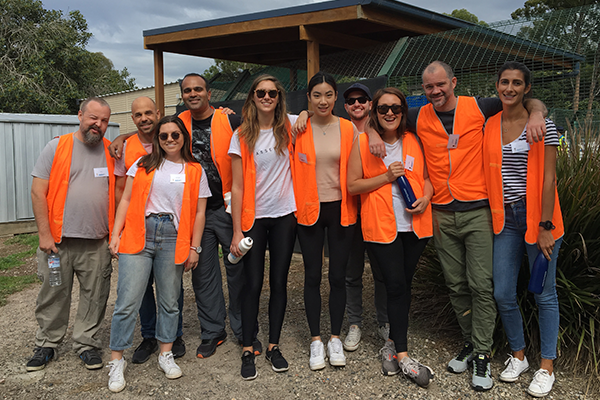 Greenstone, Deutsche Bank, SMLXL Projects and Montgomery Advisory stopped by our Sydney Shelter to clean out the stables, walk the dogs, play with the kittens and do a spot of gardening. Thank you to all our fabulous corporate groups for volunteering! We loved having you. Greenstone work with RSPCA Pet Insurance, so we were thrilled to welcome the team to the shelter and show them around. At the end of the day shoveling, patting, playing and washing, the team said they felt even more motivated to go away and spread the word about what we do. The legendary team from Deutsche Bank helped us with the gardening at the shelter – in the near-scorching heat! Now that’s commitment. 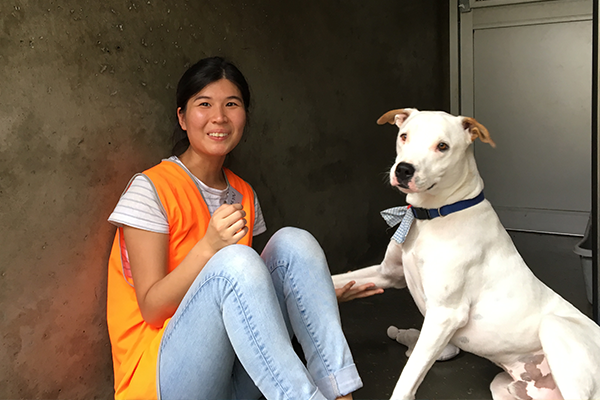 They also got the chance to play with dogs and cats, as well as cleaning and preparing hutches for our pocket pets. One of the volunteers brought her animal-loving daughter, who also loved the day! A small group from SMLXL Projects came along to help us out for a day. 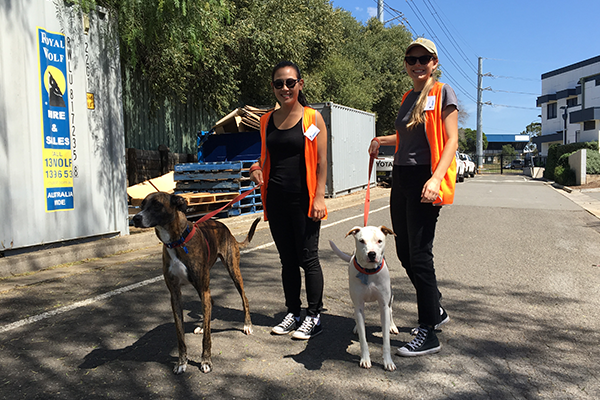 While they were a small group, they were a tough one, and happily helped with their various volunteer chores. In fact, they raved about it so much that their work colleagues became jealous, and immediately booked in another date for next year. That’s what you call a success! The group from Montgomery Advisory heard about all the fun of Corporate Support Days and couldn’t wait to come down and experience one for themselves. 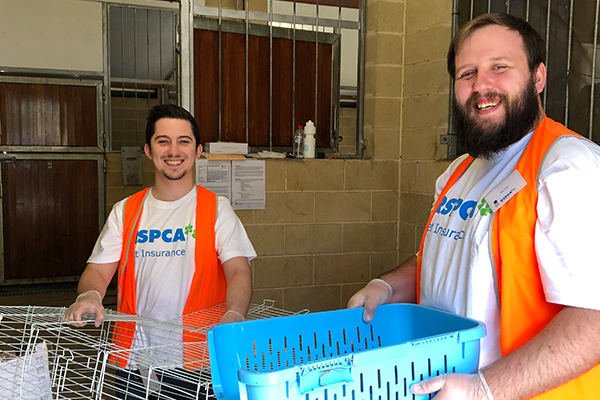 The team worked hard cleaning out stables and setting up the rabbit hutches before getting a chance to play with puppies and dogs. Again, thank you to all our amazing corporate supporters! We truly value the ongoing support we receive from our corporate sponsors. If you want to learn more about our Corporate Support Days, head here.